The Dansko Grey Stretch/Suede from the Harriet collection. Harriet lets you take it easy even when you're on the go! 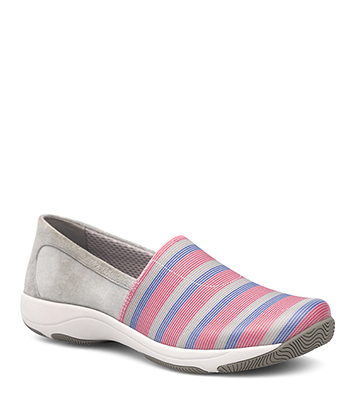 Infused with sleek style, this slip-on's stretchy vamp gives feet lots of flexibility, while a bumper guard protects toes. A supportive, shock-absorbing midsole pairs perfectly with the long-wearing rubber outsole.